This is an Axle Tang Washer for 1" D Shaped Spindles. You will notice that this item is D Shaped. 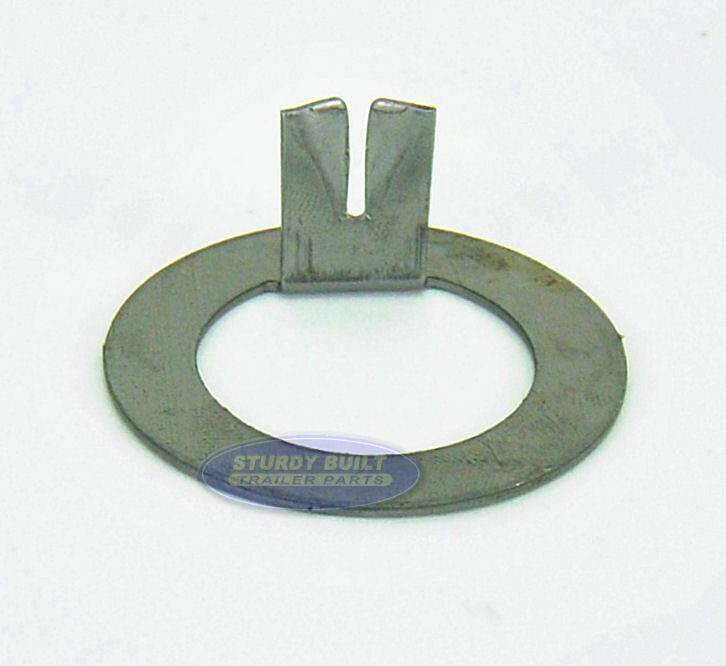 Your Axles spindle will also have a Flat Spot for accepting this style washer. This is installing onto your Axle after you put on your Washer. Next, you will install the Castle Nut. Bending the tab over on the Tang washer will secure your castle nut in place. it is always ideal to have extras of these to ensure your Tang Washer is always in perfect working order. In most cases, you will only bend down one of the two wings into the slots on your Castle Nut. already on trailer fit good.